Find a doctor near you now! Have you had a recent Car Accident or Personal Injury? Do you need a doctor now now in Orlando, Kissimmee or Central Fl? The Injury Docs can help! Se Habla Español! Call us anytime! Our scheduling coordinators are super friendly and ready to help! call our East Orlando scheduling staff NOW! Recent car accident in Hunters creek or Kissimmee? Do you need an auto accident doctor right now in South Orlando or Kissim,mee? The Injury Docs- in South Orlando, Hunters Creek, or Kissimmee can help! Find Auto Accident Injury Medical Doctors and Chiropractors in South Orlando or Kissimmee today! We can schedule you to see a doctor today! Immediate appointments are available! The South Orlando Physicians have locations near John Young Parkway and Osceola Parkway. Here you will find Chiropractic Physicians, Medical Physicians, Massage Therapists as well as physical therapists all in same facility. Complete Radiology, decompression therapy and much more are also available. Same Day Immediate Doctors Appointments! All Auto Insurance is Accepted! Free Consultations for every patient. Most Health Ins Accepted! Workers compensation insurance is accepted, all self pay patients are accepted and financial arrangements are available! Medicare patients also welcome. Find a doctor for your auto accident injuries now!Se Habla Español! IMMEDIATE SAME DAY APPOINTMENTS- CALL NOW- SCHEDULING 24-7! Have you had a recent car accident in Winter Park,. Do you live near Goldenrod or University, Full Sail or UCF area? The Injury Doctors in Winter Park can help! The Injury Docs in Winter Park specialize in the treatment of car accident and personal injuries, neck, back pain, headaches whiplash and other spine related injuries. The Injury Docs in Winter Park are friendly, caring and professional. The main goal of the doctors are to help you recover after your auto accident or personal injury. The Winter Park injury physicians also work closely with other physicians and health care professionals such as Orthopedic Physicians and Surgeons, Neurologists and Pain management doctors. The Injury Docs understand that an auto accident can be a stressful time for you and your entire family, that is why all of our doctors handle the PIP auto insurance billing for you! The Injury Docs of Winter Park have extensive knowledge, expertise and experience when it comes to treating auto accident and personal injuries. We offer immediate same day appointments near you! Se Habla Español! Scheduling available 7 days a week, day or night! All PIP insurance accepted! West Orlando Injury Docs- Ocoee Winter Garden Auto Accident? Have you recently been involved in a car accident in Ocoee or Winter Garden? Do you currently live or work in Clermont, Gotha, Windermere, Metro West, or near the Millennia mall area? Whether you live in these areas or in Metro West or Pine Hills, The Injury Docs of Ocoee, West Orlando have you covered! The Injury Docs in West - Ocoee have extensive experience treating auto accident injures. The doctor are ready right now to get you started on your road to wellness. If you need an MD or Chiropractor in the Ocoee, Pine Hills Metro West, Clermont or any other West Orlando area, The Injury Docs Ocoee have you covered! The accident and injury team of specialists in Ocoee; West Orlando include Medical doctors as well as Chiropractic Physicians, and physical and massage therapists. Some of our treatments include EMS therapy, along with hot or cold packs, Vax-d, decompression therapy, cold laser therapy and more. The Injury Docs Ocoee are specialists when it comes to treating auto accident and personal injuries. Our office are conveniently located at or near Ocoee, Windermere, Gotha, Winter Garden, as well as areas near West Colonial, Maguire Road. Silver Star Road and more! With The Injury Docs of West Orlando, you are sure to find a location and a doctor that is right for you! So whether you live or work in Ocoee, Winter Garden or any of the surrounding areas, such as Dr. Phillips, Metro West, or Millennia Mall Area, or Pine Hills, we will find and connect you to the right doctor and the right location for you! Same Day Auto Accident Doctors Appointments at all Ocoee- Locations- All consultations are FREE! All Auto Insurance is Accepted! Personal Injury Insurance, PIP is accepted, Most Health insurance accepted. All self pay patients welcome- and Medicare and workers comp insurance are accepted! Auto Accident? Call The Injury Docs - West Orlando - Ocoee NOW! Have you recently been in a car accident in Lake Mary, Longwood, Sanford, or Winter Springs? If so The Injury Doctors in Lake Mary Sanford can help you right now! The Longwood, Lake Mary Doctors specialize in Auto Accident injuries and personal injuries, you can call The Injury Docs right now for a location near you! Immediate Appointments! All Auto Insurance Personal Injury- PIP is accepted! he Injury Docs of Lake Mary, Sanford service areas of Altamonte Springs, Winter Park, Winter Springs-Se Habla Español! If you have had a recent car accident in or near Apopka, Mount Dora, or anywhere else in or near Apopka, The Injury Docs of Apopka can help you right now! 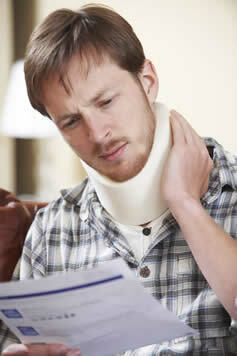 The Injury Docs of Apopka specialize in the treatment of auto accident injuries, whiplash, neck and back pain. The Injury Docs of Apopka offer immediate same day appointments for every patient in every location. Our Apopka offices are state of the art, and our doctors and staff are caring, friendly and and professional! The Injury Docs of Apopka carry extensive knowledge and experience when it comes to treating car accident injuries. The Injury Docs of Apopka understand how difficult it can be for you and your family after a car accident. If if you have been involved in a car accident, you can call The Injury Docs of Apopka now and get connected immediately to a specialist near you! .The main goal of the Injury Docs of Apopka is to help you get back on the road to wellness as quickly as possible after an auto accident or injury. If you are suffering with any type of back or neck pain, spine pain, headaches or whiplash, we can help you right now! Our Apopka auto accident specialists provide all the latest treatments to help you get back on your way to wellness quickly! Our doctors also work closely with other health care professionals and specialists to ensure your well-being at all times! The Injury Docs of Apopka accept your PIP insurance in full as a courtesy! Our doctors will also work with your attorney on your behalf as a courtesy. Don't have an accident attorney? Let us know, The Injury Docs are familiar with some of the top Orlando auto accident attorneys, maybe we can help! Our scheduling team are friendly, professionals and available right now to take your call and schedule an immediate appointment with a doctor near you! Our central scheduling office is open day and night 24-7 for your convenience! Our number one goal is to help you get back on the road to wellness as quickly as possible! So call us right now, get connected to a doctor and let us help you! Our staff is super friendly, knowledgable and ready to help now!! WE offer immediate same day appointments, free consultations and our patient scheduling coordinators are available 24-7! Call us now to find out more! Lee Vista- Lake Nona Auto Accident? Call The Injury Docs-Se habla espanol! If you have had a recent car accident in or near Lee Vista, Lake Nona, Orlando international airport; North Lake Park or anywhere else in or near Lee Vista, or Lake Nona- The Injury Docs have you covered! The Injury Docs will connect you to an auto accident or personal injury doctor in your area immediately! The doctors and staff are caring and professional with extensive knowledge and experience treating auto accident injuries. The Lake Nona, Lee Vista doctors offer Immediate appointments for every patient in every location. The Lee Vista doctors also work closely with other health care professionals and physician specialists such as Pain Management, Orthopedic Surgeons and Neurologists. The Lee Vista auto accident doctors will also work with your attorney on your behalf as a courtesy. In most cases the doctors will accept a letter of protection on your behalf from your attorney. The Injury Docs scheduling team are super friendly, knowledgable professionals and are available right now to take your call and schedule an immediate appointment with a doctor near you! Our central scheduling office is open day and night 24-7 for your convenience! Our number one goal is to help you get back on the road to wellness as quickly as possible! Se habla espanol! Poinciana Injury Doctors- Auto accident- Personal Injury in Poiniciana? If you have recently had an auto accident in Poinciana, Kissimmee or Celebration; you may be looking for a Poinciana physician right now. You are probably wondering what to do now or what to do first. The Injury Docs of Kissimmee - Poinciana specialize in auto accident and personal injuries. 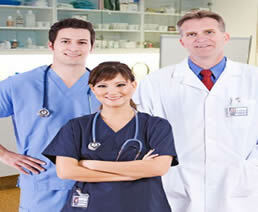 Our doctors have many years of extensive knowledge and experience in these areas. The Poinciana Injury Docs treat neck pain, back pain and whiplash and car accident injuries almost every day! The Injury Docs - Poinciana understand that an auto accident can be a very difficult time for you and your entire family, and our doctors want to help. The number one goal of the Injury Docs of Poinciana is to connect you to one of our accident injury specialists as quickly as possible that can help you start feeling better immediately! Our scheduling coordinators are available 24-7 for your convenience, you can call us anytime! Our Chiropractic physicians work closely together with Medical Accident Specialists and other health care professional for your benefit to ensure you receive the very best possible care throughout your entire treatment plan. Our Poinciana doctors know that an auto accident can be extremely stressful for you; we want to help! Patients often tell us, that our Chiropractic care along with a very caring staff and working together with other medical specialists has really helped their overall care. The Injury Docs accept your auto insurance in full and will handle all the billing for you as a courtesy! The Injury Docs of Kissimmee, South Orlando are ready to help you right now! Call us NOW and get connected to doctor near you! Ask us which Kissimmee location is right for you! Call now Immediate Appointments, Se Habla Español! Auto accident in Seminole County including Longwood, Casselberry, Altamonte Springs, or Winter Springs? Do you need a doctor in these areas or surrounding areas? If so, The Injury Docs in the areas of Altamonte Springs, Winter Springs, Casselberry or Longwood can help! The Injury Docs are conveniently located near 436, and State road 434, near the Altamonte Springs Mall, Red Bug Lake Road in Winter Springs, Lake Mar, Sanford, and other surrounding Seminole county areas. Call The Injury Docs in Seminole County now and get connected to a doctor in or near Longwood, Sanford, Casselberry or Altamonte Springs right now! All Auto Insurance is accepted, and all of the doctors offer immediate same day appointments for every patient in every area. The injury Docs in Seminole County carry years of experience treating neck and back pain as well as auto accident injuries. Same day appointments are available for all patients, All Auto Insurance - Personal Injury- PIP is accepted! Get connected to an auto accident doctor in the service area of Longwood, Altamonte Springs, Apopka, Lake Mary, Sanford, Winter Park and Oviedo. The Injury Docs in Altamonte Springs offer Same Day Appointments for every patient! Have you recently had an auto accident in or near Winter Springs, Oviedo or East Orlando? Our Winter Springs auto accident doctors have you covered! If you live or work in Winter Springs, Oviedo or any surrounding area, The Injury Docs have you covered! The Injury Docs of Oviedo, Winter Springs offer immediate appointment for every patient in every area! Our doctors understand that an auto accident can be serious. Our offices have extended clinic hours to serve you better. The Injury Docs scheduling coordinators are available 24-7 to take your call and schedule your immediate appointment with a specialist near you now! Our doctors have been treating neck and back pain as well as auto accident injuries for many years and have extensive experience in these areas. Call now to schedule your Immediate appointment with an injury doctor near you! Speak to our friendly scheduling staff day or night! Ask us which location is right for you! Call The Injury Docs, NOW and get connected to a doctor near you. The Injury Docs of Winter Springs, Oviedo accept all auto insurance,PIP insurance as a courtesy to you, Our billing department will handle all the billing for you so you can just focus on getting well! The Injury Docs also accept most health insurances, self pay patients are always welcome and financial arrangements are available for every patient! Call us right now for an immediate appointment in Winter Springs, Winter Park, Lake Mary, Sanford, Oviedo, Longwood or any surrounding area! Auto Accident or Injury in Haines City or Davenport? Welcome to The Injury Docs, Davenport and Haines City. Have you recently had an auto accident in Davenport? If you are suffering with neck or back pain from a car accident, and you live anywhere in or near Davenport, Haines City or any surrounding area, and need a medical doctor, Chiropractor or Pain Management doctor in Davenport, The Injury Docs, Davenport, Haines city has you covered! The Davenport Haines City Accident Doctors are in the heart of Davenport and Haines City right off state Road 27 and close to Heart of FL Hospital. Get connected to the top accident doctors in Haines City, Davenport. The Davenport Chiropractic Physicians have been treating patients injured in car accidents for many years; our doctors work closely with Medical Physicians, Orthopedic Surgeons, Pain Management physicians and more! Each doctor is carefully hand picked for The Injury Docs network based on their many years of experience in treating injured patients. For your convenience we offer same day appointments for every patient. All Auto Accident Insurance is accepted- Free consultations for every patient! If you have had a recent car accident, and are in the Haines City area, call us now for an immediate appointment! The doctors are specialists in treating auto accident injuries! Recent Auto Accident Injury- Personal Injury in Melbourne? Have you recently had an auto accident in Melbourne, Palm Bay or any surrounding area in or near Melbourne? If so The Injury Docs of Melbourne can help you right now! The Melbourne area Injury Docs can see you immediately after a car accident or personal injury. If you have recently had a car accident in Melbourne, Palm Bay or any of these surrounding areas or you live or work in these areas, The Injury Docs have you covered right now! The Injury Docs are specialists when it comes to treating auto accident and personal injury patients. The Injury Docs in Melbourne are caring and professional and ready to help you every step of the way. Our doctors have been treating neck and back pain as well as auto accident injuries for many years and have extensive experience in these areas. Call now to schedule your Immediate appointment with The Injury Docs Melbourne area physicians. Our scheduling coordinators are available day and night, 7 days a week to take your call and schedule your appointment with a specialist. The Injury Docs accept all auto insurance, as a courtesy to you. Our billing department will handle all the billing for you so you can just focus on getting well! 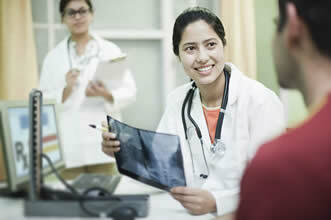 The Injury Docs - Melbourne also accept most health insurances including Aetna, Cigna and United Health care. Self pay patients are always welcome and financial arrangements are available for every patient! Call us right now for an immediate appointment in Melbourne, Palm Bay or anywhere near the East Coast. Accident Injury in Tampa? Need an MD or Chiropractor? Have you had a car accident in Tampa? If you have been involved in an auto accident in Tampa and are looking for an auto accident MD or Chiropractic Specialist right now, The Injury Docs of Tampa have you covered! The Injury Docs- Tampa have locations in Tampa, near the Armenia intersection. Call the Injury Docs team anytime 24-7 to find our more about our Tampa auto accident specialists, get connected to the best injury doctors in Tampa! Our Tampa accident injury doctors offer immediate same day appointments! The doctors will accept and bill your PIP insurance for you as a courtesy, so that you can focus on your treatment and getting well. Our doctors all offer free consultations for every patient! If you have had a recent car accident, neck or back pain, personal injury, and are in the Tampa area, or need a doctor near Tampa, call The Injury Docs now for an immediate appointment! The doctors are ready to help you now! Remember, you only have 14 day to see a doctor under your own auto insurance to be eligible for your PIP benefits. Call now and speak to our super friendly scheduling staff! LET US FIND THE RIGHT DOCTOR FOR YOU! Call us right NOW, ASK US WHICH LOCATION IS CLOSEST TO YOU!